When you have been mentored by Robert Bloch and have been deemed "the scariest man in America" by Stephen King, you know you’ve got what it takes to write stories that make people think. 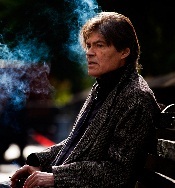 Jack Ketchum’s novels The Lost, The Girl Next Door, Red, Offspring, and most recently, The Woman, have all been adapted to film with stunning results. Coming off the success of The Woman, Jack is currently working alongside director Lucky McKee on a screen adaptation of two connected novellas being released through Cemetery Dance this year, entitled I'm Not Sam. On the whole, there can be little question that Ketchum is one of the premier novelists of our time, and it was my pleasure to catch up with him recently to discuss his latest work, and several other things. Tina Hall: How did you first come to be mentored by Robert Bloch? Was it nice to have someone you could look up to at that time in your life? Why do you think his work is so memorable? 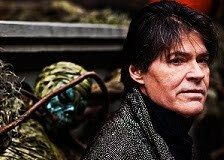 Jack Ketchum: I wrote to him in high school at the behest of my English teacher, a class assignment to write to authors we liked, and he wrote me back. That began a long correspondence that lasted until he died. "Nice" is putting it mildly. It was intoxicating at first, for a teenage kid, and later, invaluable to have that feedback. His work stands because he was unique—the first pulp writer to inject both humor and realism into his stories. And most of them hold up to this day. TH: As someone who is truly kind do you think kindness is a highly overlooked virtue in today's world? JK: There are people who would argue my kindness but I try. I don't think it's an overlooked virtue. I think it's one of the few that we still hold dear. I'm an old hippie. I still believe, as many people do, that it's important to spread a little sunshine. TH: You are also very fond of animals, I understand. Is that a long-standing trait? JK: Sure. When has an animal ever made fun of you? Bullied you? Made you feel unwanted? Ripped you off? Give me a cat or dog over most people any day. They're a safe, reliable, giving repository for love. TH: The Woman is without a doubt one of the best and most disturbing films I've seen in a long time. Did you know from the start it would be a popular as it has been? JK: You can never know for sure how people are going to take your work, but Lucky and I -- and then the cast and crew -- felt sure we were on to something different and worthwhile from the get-go. It got infectious. If you worry about how the world is going to take your stuff you're screwed from the beginning. We all just tried to please ourselves, trusted the material, and gave it our best shot. And we had fun. Seems to me that shows. TH: You are working with Lucky again on I'm Not Sam. Is there anything you can tell us about that? Any thought yet as to who is going to be in the film version? Is there any chance you might use Sean Spillane again on the soundtrack seeing as he nailed it on The Woman? JK: At this point I’m Not Sam is two linked novellas, a very twisted love story, to be published by Cemetery Dance this year. We're still working on the screenplay so it's too early to say who'll be involved with it, though Sean certainly nailed the music for The Woman in our estimation. We have a producer interested, but nothing firm yet. TH: I understand the first draft scared the hell out of your agent. Do you enjoy being able to do that? JK: We didn't so much scare her as "deeply disturb" her—her words. Which is what it sets out to do. Do I enjoy disturbing Alice? Sure I do. She's a pretty tough lady and a great friend—I've been with her for over twenty-five years—but she knows enough to batten down the hatches when she gets something new from me. TH: How do you hope to be remembered when your time comes? JK: As a pretty good writer and a pretty decent guy. That'll do. Among other literary endeavors, Tina Hall interviews the most interesting figures producing underground and mainstream horror, crime, true crime and pulp fiction.